The Gulf monarchy of Qatar has announced that it will withdraw from OPEC, the Organization of the Petroleum Exporting Countries, in January 2019. This comes as the conflict between Qatar and the other Gulf monarchies, specifically Saudi Arabia and the United Arab Emirates, has intensified. Qatar’s decision was confirmed in a Tweet by its state oil company, Qatar Petroleum. Qatar has said that it will instead focus on increasing its natural gas production. The Qatari regime claimed that its decision has nothing to do with the blockade Saudi Arabia has imposed on it since June 2017, although some analysts have suggested otherwise. The Saudi regime is the de facto leader of OPEC. OPEC was founded in 1960 by five of the major petroleum exporting countries and Saudi Arabia was one of the founders. And Saudi Arabia has significant influence inside OPEC, although of course, the organization has changed a lot since it was founded in 1960 at the peak of the Cold War. So joining us to discuss the conflict between Saudi Arabia and Qatar and how OPEC plays into this is Larry Wilkerson. Colonel Larry Wilkerson is the former Chief of Staff to U.S. Secretary of State Colin Powell. He is currently an adjunct professor of government at the College of William and Mary and he is a regular contributor here at The Real News. Thanks a lot for joining us, Larry. LARRY WILKERSON: Thanks for having me, Ben. BEN NORTON: So Qatar has been decreasing its oil production since 2013, actually. It’s not entirely surprising to see that Qatar will withdraw from OPEC because it’s already been focusing more on natural gas anyway. So clearly, this is more of a political decision than an economic one. But what do you think Qatar is trying to say to other countries, including Saudi Arabia, by withdrawing from OPEC? LARRY WILKERSON: You’re right. Qatar is low on the list of oil producers, about two percent I think, even less than two percent, but it is very, very rich in natural gas. From that perspective, it’s an understandable decision, but I think you’re also right, it’s as much a political decision as it is a practical, commercial decision. What Mohammad bin Salman has done corrupt both flanks, if you will, of the Kingdom of Saudi Arabia; the war in Yemen on the one flank and Qatar on the other flank. He’s destabilized the Gulf Cooperation Council, the imperfect but still the only really secure in the region that the United States had spent a lot of time trying to form and solidify. And he’s destabilized that, and he’s invited his principal ideological enemy, Erdogan, the Muslim Brotherhood’s political end if you will, into Qatar, to include bringing Turkish with him. So he has created a catastrophe on both of his flanks, and Saudi Arabia looks more threatened each day that goes by, this being just one of the threats. 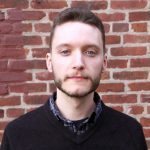 BEN NORTON: And this is an actually interesting point that I wanted to talk more about. We’ve seen, interestingly in the past few years, these kind of two competing axes in the region emerge. For years, we already saw Saudi Arabia, of course, strongly opposing Iran. That’s not new, that goes back decades. But what’s interesting is that even after the war in Syria, where we saw Turkey, Qatar and Saudi Arabia were all largely on the same side, I mean they were in some ways kind of conflicting with each other because they would support different rebel groups that were fighting each other inside Syria, so we did see that the origins of this conflict then. But now we actually see that Turkey and Saudi Arabia are really at each other’s throats. They’re pretty much enemies at this point. And like you mentioned, Erdogan, the president of Turkey, who has really consolidated power, imprisoned the opposition, he sees himself as the new leader of the Muslim world, he’s affiliated with the Muslim Brotherhood and Qatar, of course, strongly supports the Muslim Brotherhood. And on the other side, you have the Gulf monarchies. So I’m wondering how you think this could pan out, because it seems to me that now that this Pandora’s box has been opened, Turkey and Saudi Arabia can’t go back to being allies. And if Qatar moves further and further into the Turkish camp, it seems pretty intractable. LARRY WILKERSON: It does. But I think it will come to fruition sometime, probably sooner rather than later. And by fruition, I mean more chaos in the region. The United States started this chaos when it invaded Iraq in 2003 and sent all these forces afoot and loose. And ever since, there’s been this three-way power struggle with the United States being the arbiters, so to speak, from time to time, between Israel and its allies of convenience, like Saudi Arabia, like the United Arab Emirates. And Iran and its allies of convenience from time to time, like Russia and Syria and now Turkey, at least implicitly if not up in your face, and this power struggle is going to go on until there is some resolution to it. That could take some time, it could be a lot of blood and treasure expended. I don’t see anybody any smarts playing in this power struggle right now, and I include Washington in that, with the whole host of characters we have in Washing, from Jim Mattis to Mike Pompeo to Donald Trump. I don’t see any smarts there, I just see muddling through. I do see Turkey making some headway, as you expressed it, in becoming maybe the replacement for Saudi Arabia in terms of the ideological leader of the Muslim world. I think that’s one of Erdogan’s purposes. And I do see Russia making headway, these outside powers are making more headway than the regional powers themselves by playing the regional powers against one another. And in all of that, you have to throw Mohammad bin Salman in that. He’s taking Saudi Arabia in directions that are going to be very perilous if not ultimately perilous. And the United States is there, locked cheek and jowl with Mohammad bin Salman. And of course, very tightly locked within Netanyahu in Israel, who’s now probably going to be indicted. Sharon, we would have indicted him and probably put him in jail if he hadn’t been so ill that they decided to give him a break at the end of his administration. These ultra-right wing administrations in Israel are not only bad for the regional situation with regard to Israel’s security, they’re also corrupt as hell. This is a real mess. And it’s a mess, as I said, that we exacerbated, that we, in many respects, started with the takedown of Saddam Hussein and our elimination of the balance of power in the world in 2003. Now you’ve got all these players struggling with that balance of power. BEN NORTON: Yeah, and then finally, I want to wrap up here talking about Khashoggi, because this has really, I think, exposed the different conflicts between these different countries. We’ve seen Turkey really exploit the killing of Jamal Khashoggi. Of course, he was killed in the Saudi consulate, inside Turkey, and Erdogan has really masterfully played this. He’s carefully and selectively leaked information to milk the story for as long as he can. We see Turkish media really constantly exploiting this conflict. And I think it really underscores the conflicts inside the U.S. government itself. So we have seen parts of the intelligence apparatus, like the CIA, former Director John Brennan went on MSNBC and called for MBS to step down. And then, of course, they’re conflicting with Donald Trump. And Donald Trump has ardently stood behind Mohammad bin Salman, defending him. So I’m wondering how you think that that could pan out as well, because it’s clear that the Trump administration has thrown its cart entirely with Saudi Arabia, and we have seen Erdogan and Trump openly fighting, in some instances, diplomatically, Meanwhile, it seems like the CIA and elements of the intelligence apparatus are still supportive, to an extent, of Turkey and Qatar, and they’re actually wary of the Trump administration’s alienation of longtime allies, Turkey and Qatar. LARRY WILKERSON: Well, you summed it up pretty well. It’s a complex situation and it’s fraught with peril right now for Israel, for Saudi Arabia, for the United States, for everyone who’s playing in this rather dangerous game. As I said though, it’s ultimately a power struggle between the three centers, if you will, with the United States going one way or the other from time to time. But when you call Donald Trump into it … I mean, I just picked up a piece off the internet, I assume it’s correct, it came from a pretty good source, that Donald Trump is now essentially attacking Jim Mattis over a 716 billion dollar defense budget, which well he should be because that’s way in excess of our needs and we are in trouble fiscally right now. But if he can attack his Secretary of Defense over an issue that just months ago he was talking about in laudatory terms, restoring the U.S. armed forces and bringing them back to modernity and getting their combat power increased and everything. And now, he’s saying 716 billion dollars is preposterous. This man can go anywhere. He can go anywhere he wants to whenever he wants to, mostly based on domestic political considerations which he is the determinant of. So I have no idea what this man’s going to do. He’s as mercurial and unpredictable as anyone I’ve ever seen in the Oval Office or read about in the Oval Office. I have no idea what he’s going to do. He might be everyone’s bosom buddy tomorrow morning, as he is with Kim Jong-un, whom he threatened as “rocket man” to destroy. Who knows where Donald Trump is going? BEN NORTON: We’ll have to end our conversation there. 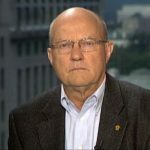 We were speaking with Colonel Larry Wilkerson, who is the former chief of staff to U.S. Secretary of State Colin Powell, and he is currently an adjunct professor of government at the College of William and Mary. As always, thanks for joining us, Larry. LARRY WILKERSON: Thanks for having me, Ben. Happy holidays. BEN NORTON: Thanks. For The Real News Network, I’m Ben Norton.